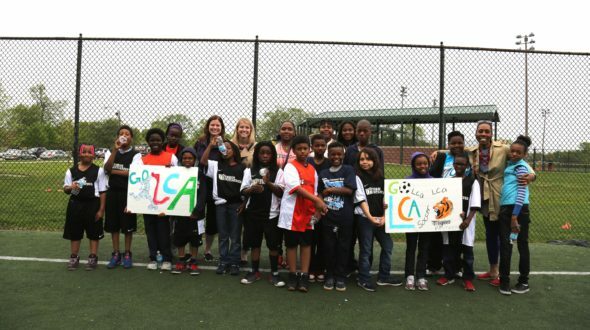 On May 13, volunteers from Huron Consulting and our Work to Play teams from Lawndale, Lloyd, and Nixon gathered at Humboldt Park for Game Day. 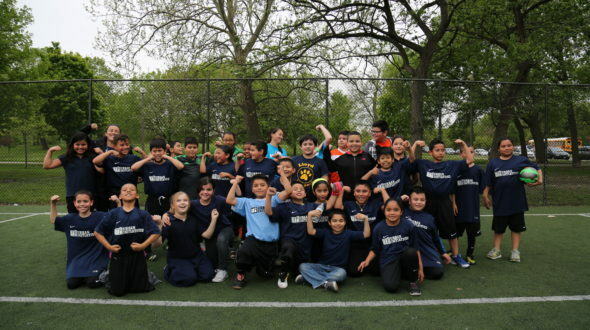 Our players had worked hard in practice all week and they were excited to put their soccer skills to work on the field. 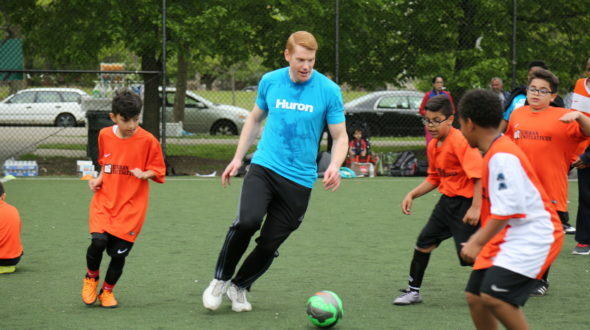 The players split into smaller teams and played in a series of 20-minute scrimmages. 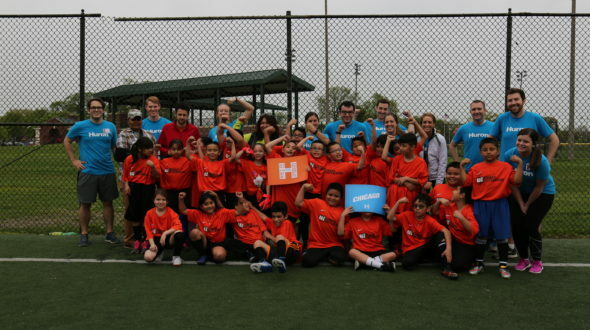 The Corporate Coaches from Huron jumped right in, introducing themselves to the kids and joining in the fun. 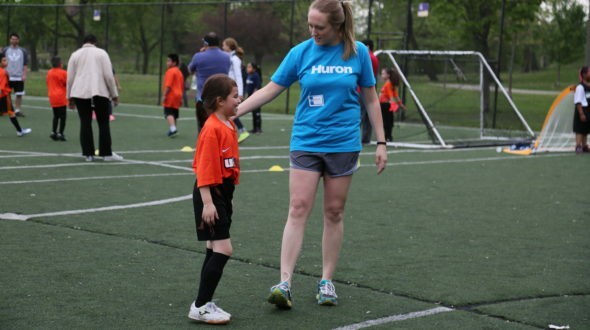 The volunteers from Huron served as coaches, referees, cheerleaders, and soccer players as needed — at one point, one of the volunteers even filled in as goalie for a team! 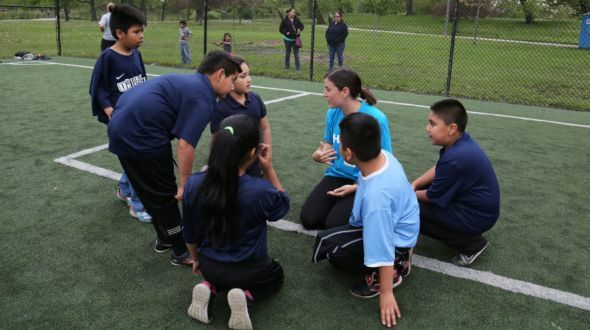 “I really enjoyed working with the kids within such an active and engaging environment. 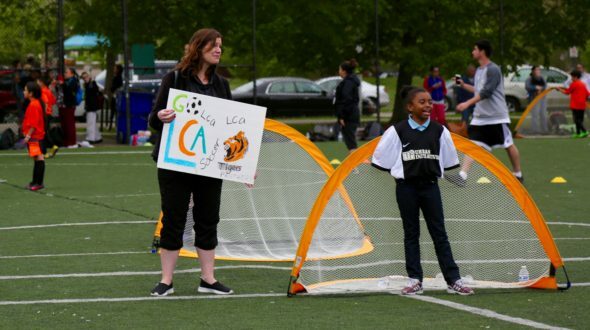 Having played soccer all through my own childhood, it was great being able to connect with kids through our shared interests,” said volunteer Lianne Seyferth. 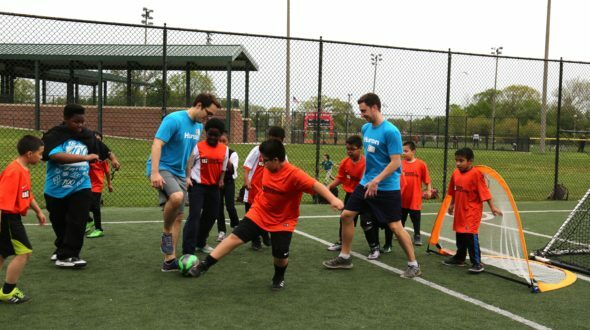 “The kids were so welcoming in letting us jump in and play soccer with them. 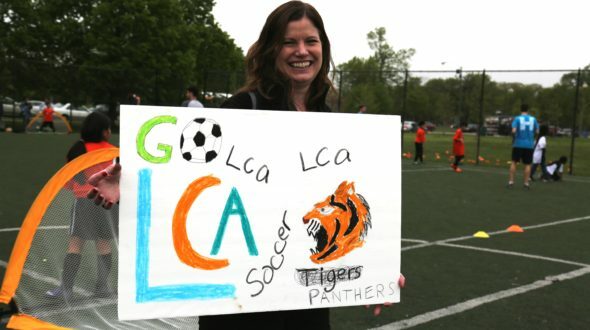 Everyone was all smiles for the whole hour and a half,” said Huron’s Samantha Orland. 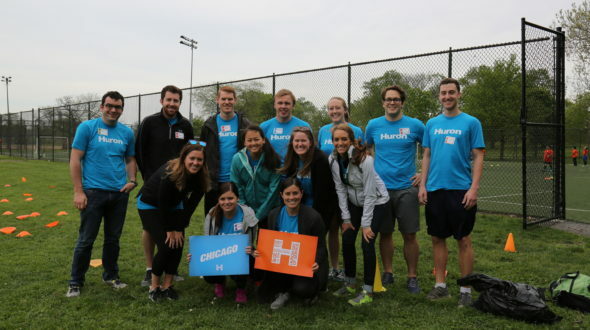 Thank you to the volunteers from Huron for partnering with Urban Initiatives on their 2016 Day of Service and taking the time to support UI’s Work to Play teams. 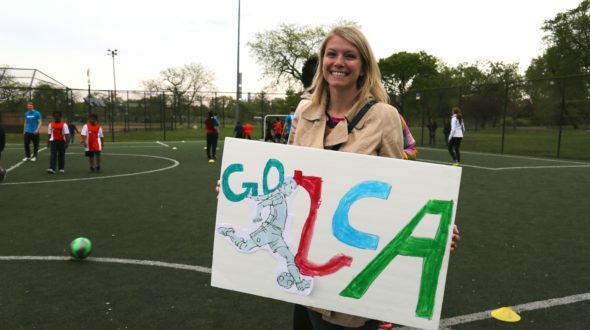 Having an enthusiastic, engaged team of Corporate Coaches supporting our students helped to make Game Day a great success!